Place the curry paste, coconut milk, chicken, salt and pepper in a large bowl and toss to combine. Refrigerate for 30 minutes to marinate. Preheat grill (broiler) to high. Thread the chicken onto 8 metal skewers. Place on a lightly greased oven tray and cook for 15 minutes or until charred and cooked through. 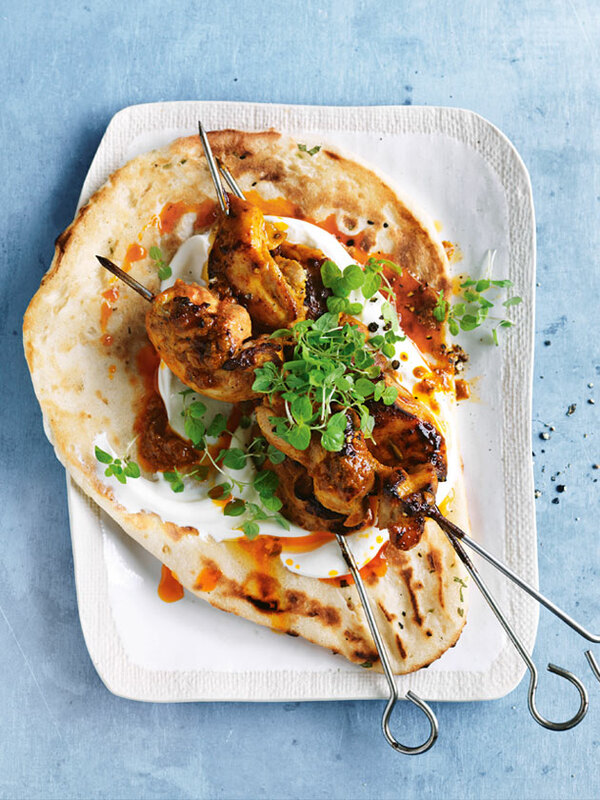 Serve with the naan bread, yoghurt, mint and pepper. Serves 4.